Former Arkansas Governor and political commentator Mike Huckabee recently recognized Ty during his daily radio show, The Huckabee Report. In a segment called “Huck’s Heroes,” Huckabee recapped Ty’s story. While family and friends are familiar with the story, to hear the events of the last year in a short sound byte reminds everyone of just how remarkable Ty’s impact on others has been. 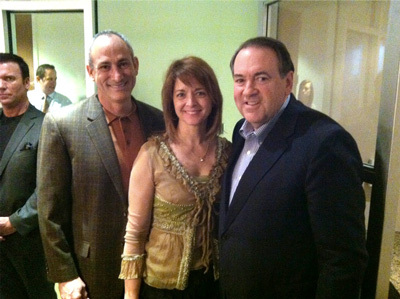 Ty’s parents were able to meet Mr. Huckabee and thank him for his support and for sharing Ty’s story.